Bus transfers: Thanks to Germany Bus and to the bus rental platforms in Bavaria, you can travel from one location to another in Bavaria, but also from any other location in Germany or Europe to another. Our buses will drive you anywhere you want in Munich or from one point in Bamberg to another in Ingolstadt. However, we rest at your disposal for bus trips or transfers within Germany and also for international trips all over Europe. Sightseeing tours: If you are searching for a bus for a sightseeing tour rather than for a transfer, you can rent a bus for your tours in Bavaria. Whether it is for sightseeing tours in Munich, Augsburg, Nurnberg or Regensburg, tourist trips around the Chiemsee lake or the Starnberger See lake, Germany Bus will hire the best local bus drivers to our partners'. If you request for an extra help for the building of your personal tourist trip in Bavaria, tour operator City Tours' team will provide you with the help and advice required. Excursions by bus: Even for excursions outside of the surroundings of Bavaria, thanks to Germany Bus, you can book a bus of any size depending on your need. You would like to go from Munich to Neuschwanstein Castle? From Passau or Linz to the Wachau? The same is true for a simple excursion, whether for a half or a whole day: you will always find a bus and a driver that will correspond to your demands! Moreover, in partnership with City Tours operator, we offer the possibility to undertake the organization and the setting up of your excursions according to your suggestions. Travels by bus: If a sightseeing tour or a half-day excursion is not what you had in mind but rather a long trip across Bavaria, you can ask Germany Bus to rent a bus for longer journeys. Naturally, if you wish so, we will help you through this process and can also take care of the catering, book a hotel or tickets for theaters, operas, museums or exhibitions anywhere in Europe. Accordingly, we gladly also make available buses and drivers for your trips in Germany and in Europe. Bayern Bus: It is a vast network of bus rental companies in Munich, Regensburg, Wurtzburg, Nuremberg, Augsburg, Ingolstadt, Bamberg, Landshut and many other cities in Bavaria, to which we can rent buses for trips in Bavaria. Munich Bus: This bus rental company based in Munich mainly offers buses for transfers, sightseeing tours, excursions and trips in Germany, Austria, Italy and Switzerland as well as in Europe. Regensburg Bus: This bus rental platform rents buses for any kind of services in Regensburg or in Bavaria. Wurtzburg Bus: It provides with information about the renting of buses and minibuses for guided tours, transports and transfers in, from or to Wurtzburg as well as for the renting of buses for trips in Germany and Europe. Bamberg Bus: Renting of buses and minibuses with driver in Bamberg. Landshut Bus: Booking of sightseeing trips and transfers by bus with driver in Bavaria. Ingolstadt Bus: Renting of buses in Ingolstadt and its surroundings for bus transfers, excursions or any other tourist trip in Bavaria. Charterbus Aschaffenburg: If you are currently considering to book a bus with driver in Aschaffenburg, make sure to get a quote from this local bus rental agency from Aschaffenburg. You can request different bus sizes, get a price proposal for bus transfers, sightseeing in the bus or bus excursions, not only in Aschaffenburg but also to other parts of Bavaria and whole of Germany. Hire a coach to Hamburg, Bremen or Saarland - none of this is a problem with this knowledgeable bus rental agency. Augsburg Bus: Request a bus with driver, get a quote for your coach rental, hire a coach easily online and enjoy your ride in a modern and safe tourism coach with driver in Augsburg. It is as easy as it sounds. This local bus rental agency is able to provide you with different kinds of bus hire services. Nürnberg Bus: The Nürnberg based company is offering local services (bus hire with driver within the city) but is also offering coach hire services outside the city within Bavaria. Also, by collaboration with competent bus companies, you can undertake bus excursions to other countries in Europe - Switzerland, Austria, but also Portugal or even Spain. Busvermietung Bayreuth: The bus rental agency &apos;Busvermietung Bayreuth&apos; has a wide range of bus rental offers to propose to you. 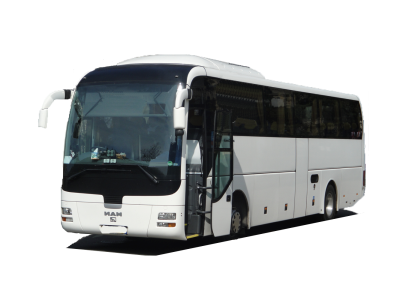 The agency is holding available coaches of different sizes, each bus rental comes with a competent and reliable driver. The company offers minibus and bus rental services in Bavaria and in other German cities. Nonetheless, the coaches do also transport you to Austria, Poland or France upon request. Memmingen Autobus: Contact this bus hire company to get your personal bus rental quote for transfer services, long distance coach rental and other bus-related services in, from, or ending in Memmingen. There are different coach sizes available. All bus rental offers come with a driver. Schweinfurt Bus: You can hire buses, midibuses and minibuses in Schweinfurt and entire Bavaria. Straubing Bus: rent busses not only in Straubing, but throughout Bavaria. Contact the bus rental agency for your coach hire enquiries starting, ending or going through Straubing. Get your personal offer for a coach with driver for different services: bus excursions, transfer in buses or bus journeys. Passau Bus:Rent motorcoaches of different seating capacity for your bus trip within Passau in Bavaria. Simply contact the Passau bus hire expert indicating the most important parameters of your coach hire and look forward to receiving your person coach hire offer. City Tours Ansbach: request bus quotes for coach hire with driver in Ansbach and remaining areas of Bavaria. Get in touch with the bus hire experts from City Tours Ansbach and get a price quote quickly and easily. City Tours Dachau: reserve coaches and minibuses with driver for day excursions and longer journey to or from Dachau. Request quotes for different bus sizes and your individual bus itinerary.
. We will be delighted to draw up the best personalized offer depending on your criteria in the shortest time possible. We will then send you an estimate of your transfers, guided trips, or sightseeing tours in Bavaria!